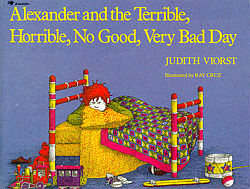 6 February 2007 The terrible, horrible, no-good, very bad day. Today I had orientation for the hospital auxiliary corps at 8am. I got out of bed at 7:50 after debating with myself for about twenty minutes whether I should even go since my throat and chest were hurting. But I told myself not to be a pansy, and I was only 6 minutes late for orientation. I sat through a 30 minute video with another volunteer-to-be, and then we got TB test shots, which left disturbing-looking bubbles under the skin of our forearms. The nurse asked if we wanted flu shots while she was at it, and we said yes. Apparently I haven’t had a flu shot in a long time, because the shooting pain down my arm that came with it didn’t feel very familiar. I mentioned it to the nurse because I thought maybe that wasn’t normal, but apparently it was because the nurse, the lady in charge of orientation, and the other volunteer all made fun of me for complaining about a flu shot. How do you tell nice ladies with numerous pins and patches on the lapels of their pink uniform jackets that no, you do NOT want to work in the gift shop? Especially when they seem like they really want your help. The auxiliary director took me into the slightly claustrophobic, extremely pink-and-red shop and introduced me to another woman whose name I can’t remember but who seemed to be in charge. The woman asked me if I was wanting to work in the gift shop, and I couldn’t bring myself to say, “not really,” so I said “um, sure.” She laughed. “So you don’t know what you want to do.” Yes, that’s pretty much my current life dilemma in a nutshell, ironically being stated in reference to one thing I am sure about, and I almost burst into tears right there. But I managed to hold back, and I didn’t acutally burst into tears until five minutes before my Spanish test. I stopped long enough to take the test, then decided I couldn’t handle people any more and skipped my other class, resuming crying on the way back home. In a positive and pro-active effort to get the day back on track, I spent the next twenty minutes or so curled up on my bed in a damp ball of angst. Ironically, it worked. After awhile I got up and took the shower I skipped that morning. The steam helped get rid of the bloodshot eyes and the bloodshot mood. I only burst into tears one more time, when Brett called to ask how the test went. I reluctantly explained how I didn’t finish it, but would have a chance to later. “Is that because you have ADD?” Yeah, that would be my other life dilemma in a nutshell. Thirteen years of resource rooms, of modified tests, of extra time. Cue waterworks. Normally I’m not that sensitive about…anything. I’ve never cried that much in one day before unless there was a death or a major breakup involved. And after the last bout of tears, all the awful cruddy feelings abruptly disappeared. None of my problems were solved, and I didn’t forget anything about the morning, but I randomly started feeling great and calmly settled down to study. The rest of the afternoon and evening were perfectly tranquil and productive. What is it that makes a person snap? What makes her snap back? Is it something she can control at all, or do the little synapses in her head just take it upon themselves to go on a rampage? I wonder why people have moods. It would make so much more sense if we just reacted to stimuli in a consistent way. My boyfriend reacts to stimuli in a consistent way. Sometimes I wonder why my reactions don’t make as much sense as his, and other times I wonder how he doesn’t get tired of being fundamentally sensible. Life is weird. But maybe someday I’ll have lived so long that it will all seem perfectly normal. “damp ball of angst.” Awww.. *hug* And I’ve had my nose buried in books and scholarship applications, tsk tsk. (hugs) ****, Beth… (shakes her head) After having just gone through a funk, I empathize… I hate you were feeling that bad. There probably is a method to your moods that you haven’t discovered because as you said, you don’t often feel that down and cry that often. Well, crappy moods are temporary but scholarships are…maybe not forever, but definitely more long-term. And I’m terribly uncommunicative when I’m angsty, so you really had no way of knowing. Thanks for the empathy, Nicole. Re-reading this entry in a good mood, it all sounds so whiney and trivial, so I have great appreciation for any sympathy.